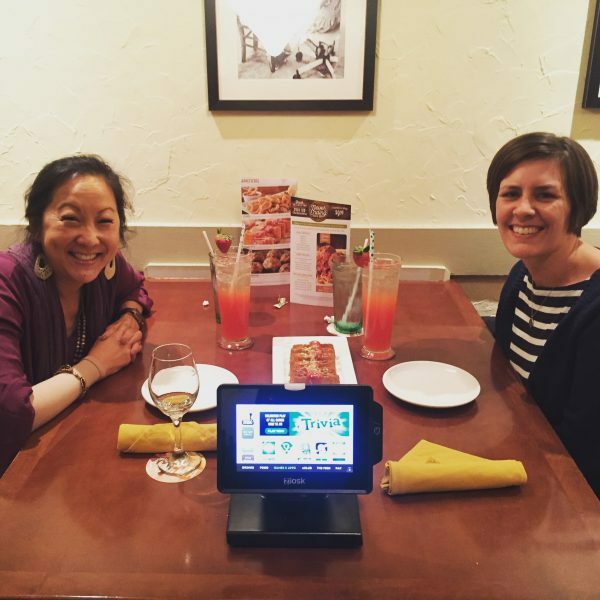 I recently had the incredible privilege of having dinner with Vivian Mabuni, speaker and author of Warrior in Pink. Vivian is absolutely delightful. It was such a pleasure to have time chatting and laughing and gleaning from her wisdom. 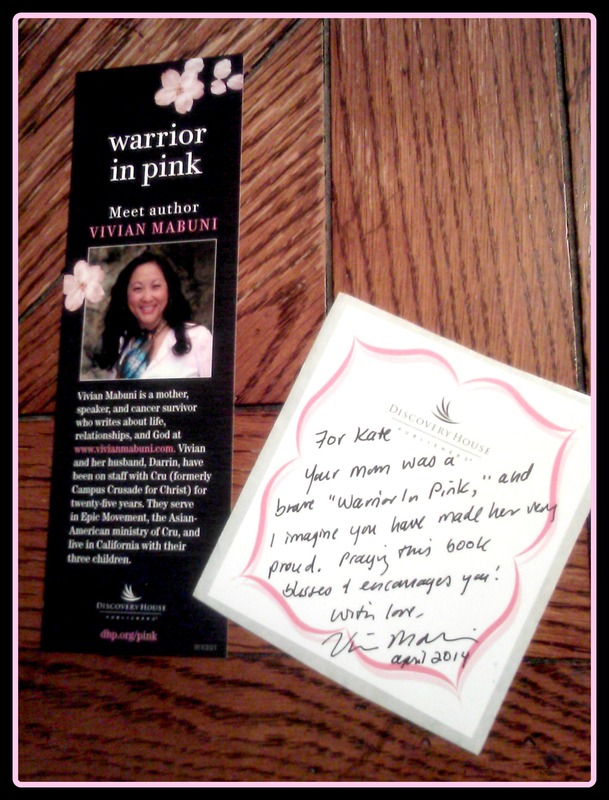 I first “met” Vivian back in 2014 through her poignant memoir, Warrior in Pink: A Story of Cancer, Community, and the God Who Comforts. I won a copy of her book from a friend’s blog, and her story had so many overlapping components to my mom’s breast cancer journey. 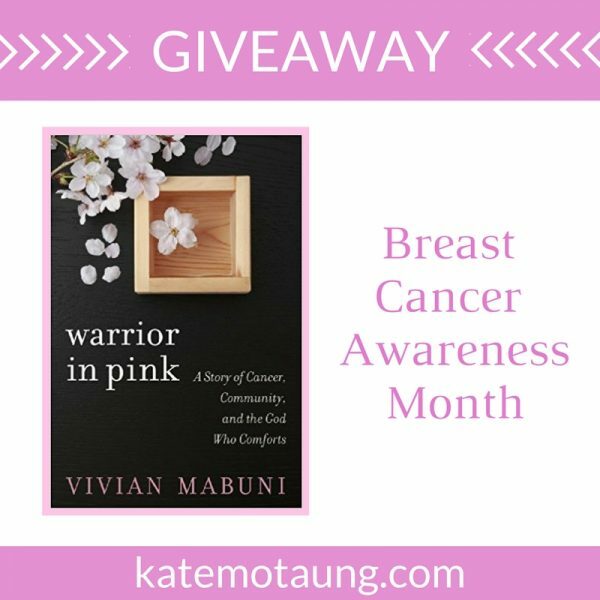 Since it’s Breast Cancer Awareness Month, I thought I’d re-share the post I wrote three years ago and give away a copy of Vivian’s book to one winner. If you don’t have it already, go get yourself a copy! So says Vivian Mabuni in the closing remarks of her book, Warrior in Pink: A Story of Cancer, Community, and the God Who Comforts . I started my first blog seven months before my mom died of cancer. For me, writing was a coping mechanism. It was therapeutic. I haven’t stopped. 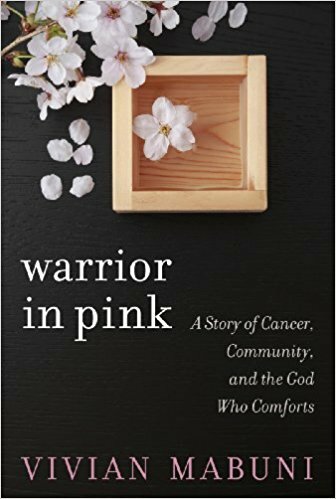 Warrior in Pink is the story of one woman’s journey through breast cancer, and how God orchestrated every step through every trench, hill, and valley. As many of you know, my mom fought the same disease for nine years before the Lord took her home in 2011 when she was 59. Reading this book was like stepping back in time. The initial shock of the diagnosis. The preliminary scans. Surgery. More tests. More surgery. Doctor’s appointment after doctor’s appointment. Grace. Chemo. Exhaustion. Radiation. Friends. God. Repeat. Though I was not the patient and did not experience everything firsthand the way Vivian has endured, her description of the events and emotions was spot on. The surgery to lodge the temporary port in place; the dreaded shedding and shaving of hair; the hot discomfort of the wig; the reclining chairs at the oncologist; and the cocktail chemo drip. The blasted compression sleeve to combat lymphedema. The rest in our Savior. Vivian Mabuni gets it all, and she invites you and I into her journey. As a friend of mine put it, reading Warrior in Pink “gave me an inner voice to the situation.” This book could do wonders for helping people understand the ins and outs, medically and emotionally, of fighting the all-too-common enemy of breast cancer. They say some people view the world through rose-colored glasses. Those who have been affected by breast cancer (either through personal diagnosis, or that of a friend or relative) — they suddenly see the world through rose-tinted lenses. Not in the sense that everything seems more pleasant than it really is, but perhaps the opposite. Everything looks pink, because all of life has been affected by this new, altered perspective. This is such a poignant snapshot into the life of a caregiver — one to remember as we continue to come into contact with families affected by this disease. May the Lord use this book for His glory. To enter to win a copy of Warrior in Pink, simply share this post on social media and come back to leave a comment noting where you shared it (i.e. Facebook, Pinterest, Twitter, Instagram, etc.). Each share counts for one entry. One copy of the book will be given away to one winner with a U.S. mailing address. Giveaway ends November 3, 2017. Shared on Facebook and pin interest ?✨? ?